After the last shot is fired and the competitors leave, the sponsor still has much to do. Every effort should be made to issue awards before the winners leave. If possible, a short awards ceremony should be provided. If this cannot be done, the winners must be determined and awards mailed as soon as possible. 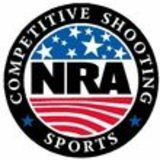 A results bulletin should be prepared and sent to all competitors, and to NRA. This is required for all Registered tournaments. 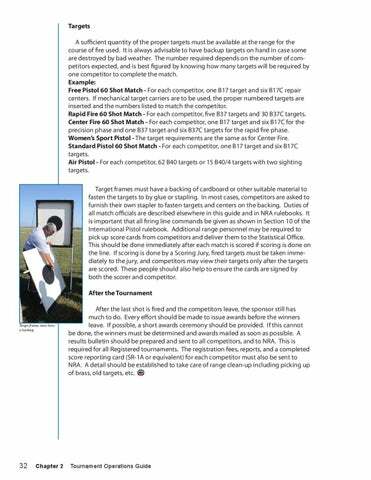 The registration fees, reports, and a completed score reporting card (SR-1A or equivalent) for each competitor must also be sent to NRA. A detail should be established to take care of range clean-up including picking up of brass, old targets, etc.